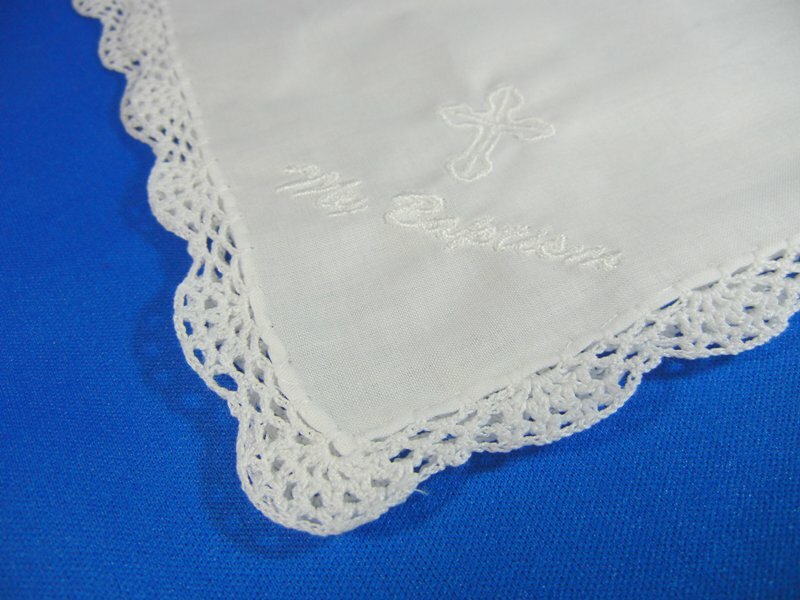 A lovely handkerchief with a crocheted edge and an embroidered cross with the words "My Baptism" written on the front. A great keepsake gift for a child's first steps into their spiritual journey. Also available in Spanish with the words "Mi Baptismo".